Stuck for what to do this weekend? 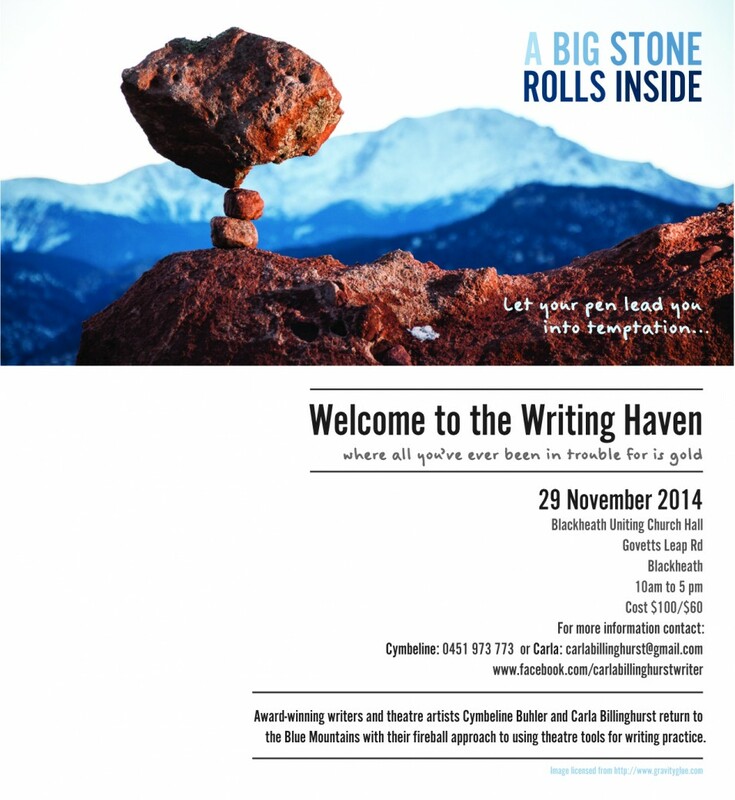 If you’re in NSW, there’s still time to escape to the Blue Mountains for an enchanting writing retreat. Get the stone rolling! Award winning writers and theatre artists Cymbeline Buhler and Carla Billinghurst return to the Blue Mountains with their fireball approach to using theatre tools for writing practice. Join them in the writing haven! Good afternoon fairy tale enthusiasts! Although our inaugural conference has been and gone for the year, the fairy tale conversations have continued with our Fairy Tale Rings. Our local branch discussion groups have brought fairy tale lovers together for some wonderful exchanges of ideas. Our chosen fairy tale for December is beloved by many – “Little Red Riding Hood.” Even if you can’t manage to get to a Fairy Tale Ring, you are always welcome to send in stories or artwork inspired by the tale. For details of individual Fairy Tale Rings in your state, stay tuned to our Events page. No Fairy Tale Ring in your state? Why not start your own? Contact us for more information.